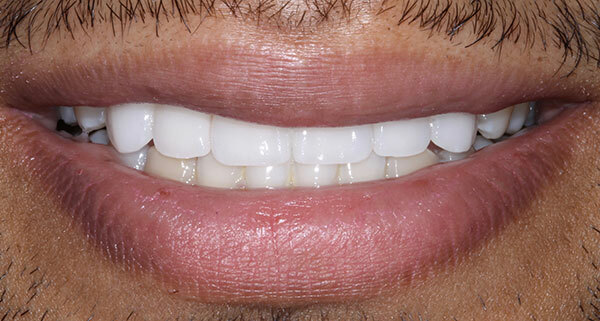 Our patient came to us unhappy that his upper lip almost completely covered his teeth when he smiled. 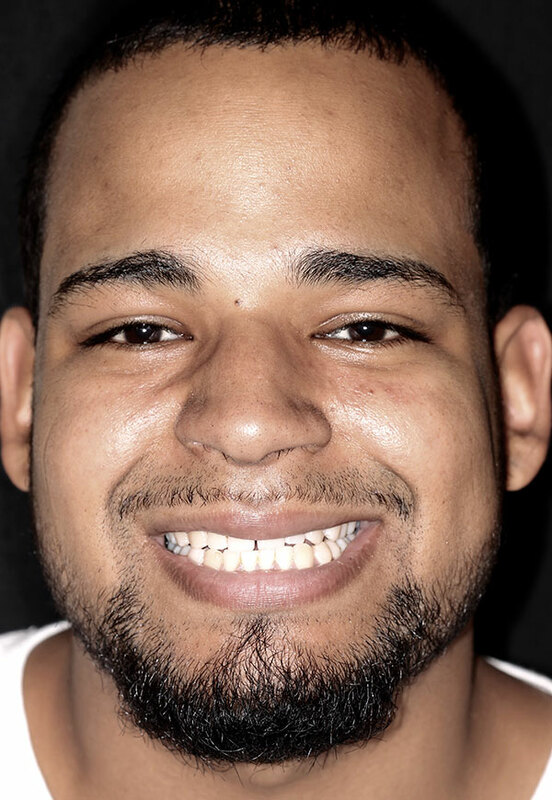 He initially was considering a lip lift, however we were able to accomplish his cosmetic goals by placing 6 custom layered porcelain veneers. 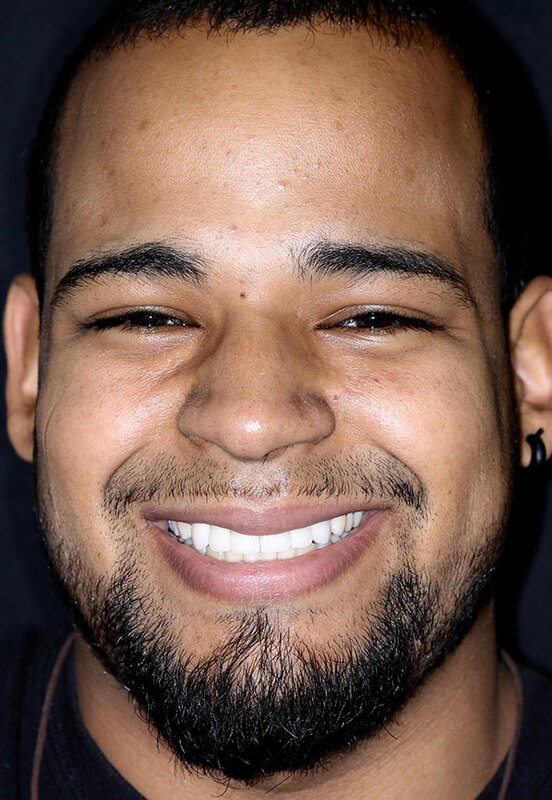 The veneers were used to lengthen our patients teeth, close the gaps in between as well as whiten his smile. 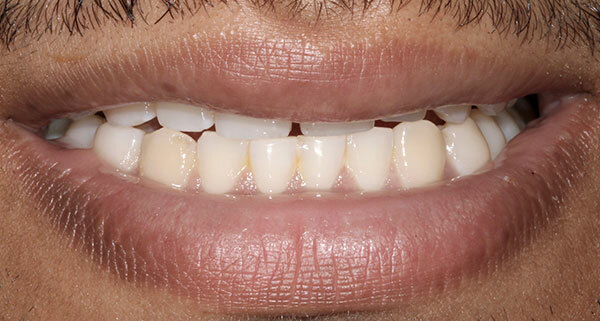 We chose a bleach shade porcelain that will not discolor with time.